Two people were seriously injured in a rollover crash near Route 126 and County Line Road in southwest suburban Plainfield. 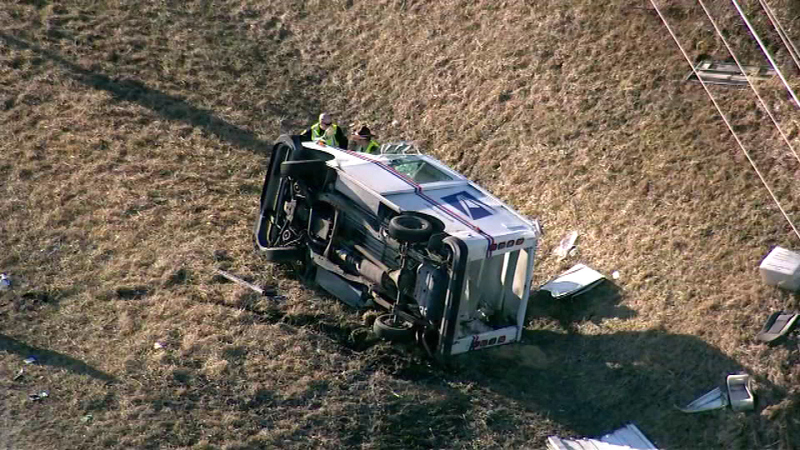 PLAINFIELD, Ill. (WLS) -- Two people were seriously injured in a rollover crash near Route 126 and County Line Road in southwest suburban Plainfield. Plainfield Fire Dept. officials said a female postal worker was driving eastbound on Route 126 when she lost control of the mail truck. It flipped over into oncoming traffic and was struck by a silver vehicle. The postal worker was airlifted to Good Samaritan in serious condition. A man in the other vehicle was taken to St Joseph's in Joliet in serious condition. Route 126 is now open both eastbound and westbound, between Drauden Road and Ridge Road. Police are investigating the crash.